Want a relaxed atmosphere for your intimate wedding ? is a little gem in the middle of one of the most famous cities in the world. and then explore the sights of our famous city ! for a lasting keepsake momento of your fabulous day. 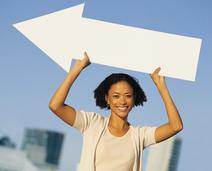 Small weddings, elopement, vow renewal, same gender, and unity ceremonies. We were married in July 16 in at this beautiful venue. I cannot say enough good things about Jacqueline and her crew. The detail and thought and genuine caring she put into everything was second to none and I was truly overwhelmed with our wedding day. The grounds are the most beautiful, serene, majestic gardens you could imagine. From the bottom of our hearts...thank you, Jacqueline, without you and your beautiful venue I would not have the memories we do. 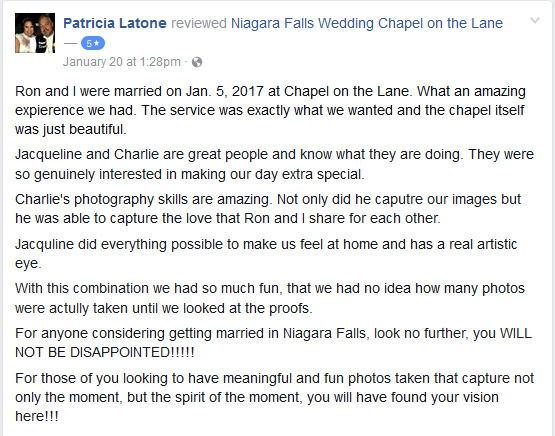 I highly recommend Niagara's Chapel on the Lane for your Niagara Falls wedding. Jacqueline did an amazing job of holding everything together when we arrived late to our own wedding!! Overall we were absolutely pleased with the ceremony and the setting!! Thank you so much for being a part of our special day!! Our wedding was simply amazing! You went above and beyond with every detail including making sure we had our wedding songs all ready!! Our #photographs are exactly what we were hoping for, what a fantastic job! Thanks for introducing us to Cathy, she was fabulous! We will never forget either of you or our day at the chapel. We both thank you from the bottom of our hearts! We recently had the pleasure of getting married at the chapel. It was a magical experience from start to finish and made possible by the wonderful host Jacqueline. The venue is exceptional, we were made to feel so special and nothing was too much trouble. We chose this romantic, intimate venue and traveled from England to exchange our vows and we couldnt be happier. The whole experience was so memorable and we highly recommend this to any couple contemplating tying the knot in a very special way. Thank you so much Jacqueline for everything, also to Charles for the beautiful photography. Amazing experience, made our day special !!! Beautiful place to be married. Thank you very much for the unforgettable ceremony in this lovely surround. Kind regards. We would like to thank you for your kindness and professionalism in assisting us with our special day. Even though our families were not present, Charlie and yourself, made us feel at home. Minister Sheldon was a joy and the personal touch he put to the ceremony was thoughtful and considerate. We are pleased to recommend the Chapel on the Lane for a small and intimate ceremony. Our sincere thanks. Thank you for the beautiful venue and planning everything for us. You know the day was a whim and I did not even notice the fireplace until I saw the pictures. What a day! Thank you! We recently got married at this chapel. It was amazing we couldn't have asked for anything better. We had all our closest family to share this day with us. Jacqueline was amazing and made this a very special day. Niagara Falls is one of the most famous little addresses, known the world over. Thinking of Eloping to Niagara for Valentine's Day ? here at our little Chapel.